Just because you want to save money on home security doesn’t mean you have to settle for a middling company with substandard equipment and monitoring. Below we look at five security companies that help you cut costs without sacrificing quality—by offering either more affordable equipment up front or cheaper monitoring costs than companies like Vivint and Frontpoint. Lowest pro monitoring price $14.99/mo. $19/mo. $19.99/mo. $8 for 3 days $10/mo. $14.99/mo. $19/mo. $19.99/mo. $8 for 3 days $10/mo. Data effective 1/1/2019. Offers and availability subject to change. SimpliSafe offers cheap professional monitoring on a contract-free, month-to-month basis, which gives you the flexibility to turn your monitoring on and off if you’re going out of town for a while or trying to save money. SimpliSafe equipment isn’t the most compatible with smart home tech, but its security equipment packages are customizable so you can find the right fit for your home. We like Nest Secure for its high-quality equipment with an emphasis on interconnectivity. If you invest in add-ons like one of Nest’s smart thermostats or smoke/CO detectors, you can control everything from the same app. You can save money by self-monitoring your Nest system, or you can pay a reasonable $19 per month to professionally monitor your system through Brinks. Affordable security systems can still look nice, and Scout’s emphasis on aesthetics makes up in part for its simple equipment offerings. If you’re looking to save money, Scout’s no-contract professional monitoring gives you flexibility to self-monitor your system to cut down on costs here and there. While Scout’s self-monitored plan is $9.99 per month, you’ll save $10 per month when you’re home and willing to monitor your own system. >>Learn more: Read the full Scout review. Abode helps you save money with its unique on-demand monitoring pricing. If you want to mostly self-monitor your security system, you can pick up three-day, seven-day, or one-month monitoring plans on demand. We think that’s pretty handy if you travel a lot for work or want to keep an extra set of eyes on your home while you’re on vacation with the family. >>Learn more: Read the full Abode review. In addition to its array of security cameras, Ring offers a cheap security system, though it doesn’t come with all the bells and whistles of other security systems. It’s also hard to beat Ring’s extremely reasonable $10-per-month monitoring fee. The Alarm Security Kits don’t come with any cameras or home automation equipment, but the keypad, contact sensors and motion detectors make for great base systems if you don’t have any home security equipment. We’d recommend adding a Ring video doorbell to your system so you can get a set of eyes on the front of your home when you’re not around. You don’t have to spend a fortune to find a quality security system that fits your lifestyle and needs. Whether you want to save by self-monitoring or by investing in more affordable equipment, these five companies will help you find a cheap security system without losing out on quality. SimpliSafe: Go with SimpliSafe if you want the option for month-to-month monitoring and flexible equipment packages. Nest Secure: Go with Nest Secure if you value quality equipment but want to save money on monitoring. Scout: Go with Scout if you want premium, aesthetic equipment with affordable monitoring. 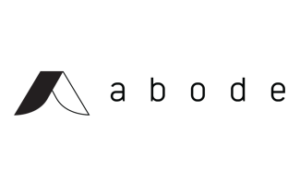 Abode: Go with Abode if you want to take advantage of shorter, on-demand monitoring while you’re not home. Ring: Go with Ring if you’re okay with a simple security system with ultra affordable monitoring.